PARCO is the Italian word for “park,” and much like a park itself, we provide a place where people come together to share time and space, and where they can relax and have fun. We are working to enhance the appeal of local communities and contribute to realizing a society that offers urban consumers fulfillment by devising creative business activities with a grasp of local needs and trends. Collaborations spanning a range of partnerships are crucial to develop the appeal of local communities. PARCO is involved in close cooperative relationships with local authorities across all PARCO stores. Since PARCO stores are places where members of local communities gather, we have taken a wide range of measures to ensure both the peace of mind and safety of the people who visit our stores. The restaurants and food stores inside PARCO conform to rigorous standards for health and safety management. Furthermore, PARCO conducts its own periodic health and safety inspections, checking the sanitary conditions in kitchens and the storage conditions for food products and ingredients. Checks are also made as needed to ensure that restaurant menus display appropriate information, and that raw ingredients, potential allergens, and expiration dates are all properly displayed. There are many shop windows in a PARCO store. Each of these glass panes is coated with antishattering film to protect people in the unlikely event of window breakage. The large display shelves have mechanisms to prevent the shelves from collapsing. We also have staff who are specially trained in disaster prevention roles, and they practice each day. We actively participate in fire-fighting technology training tournaments held by local fire stations, and have achieved some good results. We also offer training to the shop staff on how to use fire extinguishers so that they can take action in initial fire fighting. We have set up an information system that links each shop to our Disaster Prevention Center so that the shops can rapidly respond to emergencies. Furthermore, we are actively involved in crime prevention activities, holding regular training sessions designed to share examples of problematic behavior and other aspects of crime prevention. 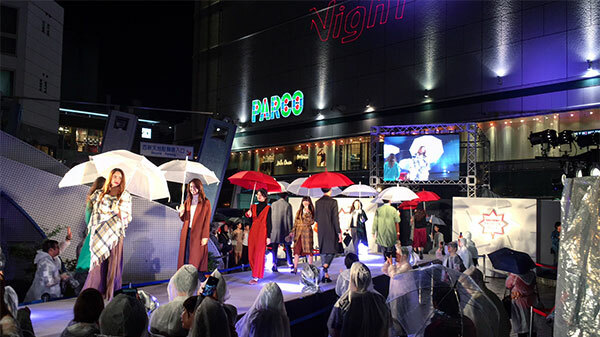 To prepare for the possibility that a shopper may suffer an injury or suddenly take ill, all PARCO security staff and maintenance personnel undergo paramedic training with the local fire station staff. All shops have an AED (Automated External Defibrillator) and the staff is trained in their use. In the PARCO Group, our disaster-readiness efforts include periodic fire drills for PARCO building staff, coupled with paramedic response training courses, to protect lives and safeguard assets in the event of an emergency. In addition, to provide services on a continuous basis, we have procedures in place to prevent or minimize risks that could occur in the event of a major disaster. The “PARCO Basic Business Continuity Plan for Major Earthquake Disasters” was formulated in 2011, and revises it about once a year in line with changes in the times, and updates and improves the contents. We conduct regularly scheduled BCP drills each year to test our about to react quickly to scenarios simulating the occurrence of an actual major disaster. At Nagoya PARCO, we adopted a ground filtration system as a measure to ensure potable water supplies exist should a natural disaster occur. The filtered groundwater is used for drinking water and facility equipment throughout the complex.